Sanitarium is a Health & Wellbeing Company who champion child and family 'wholistic' health and wellbeing to improve Australians' quality of life. 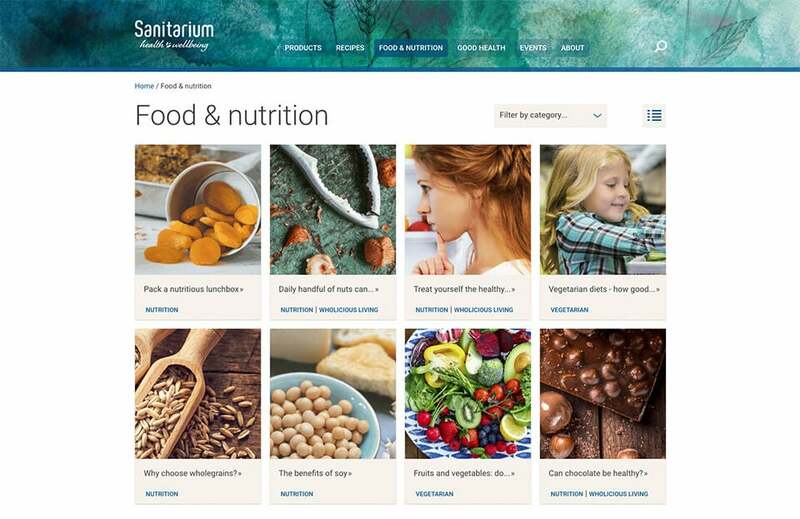 We upgraded Sanitarium from Sitecore to Kentico 9 and created a fully responsive online experience that allows Sanitarium to take their audience on a health and wellbeing journey. 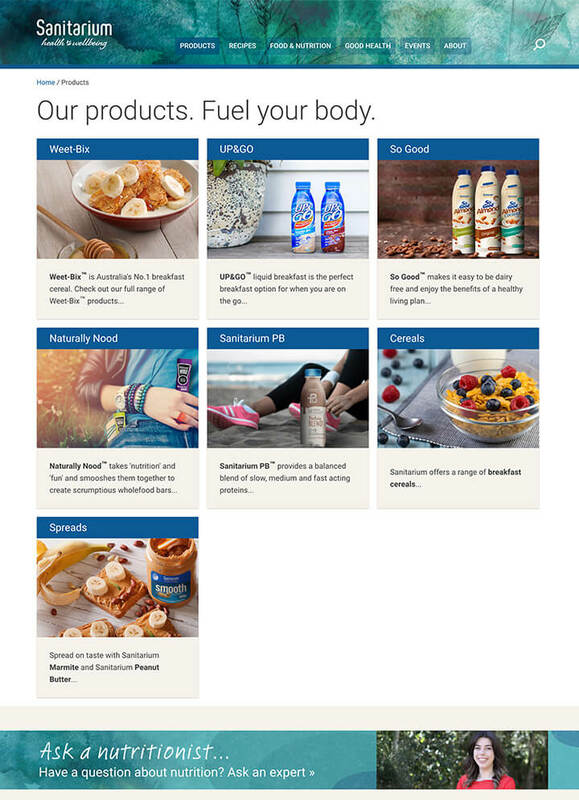 By creating an entirely new CMS platform, site architecture, user experience and visual design, Sanitarium is now able to deliver against the goal of becoming a trusted source of food and nutrition content helping them build a stronger and deeper relationship with each user. Due to previous challenges with the legacy Technology setup, Sanitarium needed to be reassured that they were choosing the right CMS and right technology partner. We encouraged Sanitarium to engage with Kentico to perform a Performance & Health Audit on the CMS before go live to reassure them that their new platform was fit-for-purpose. We passed with flying colours, with Kentico stating that it was refreshing to see such a high-quality implementation of the Kentico CMS. 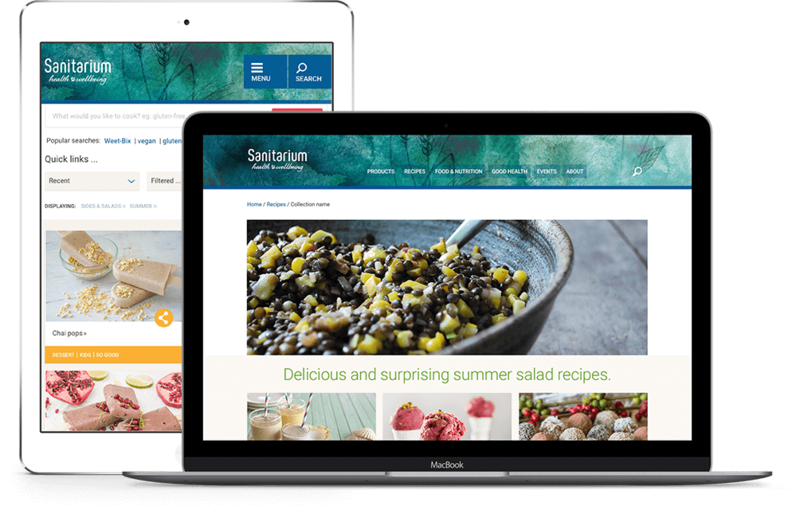 Sanitarium were keen to take advantage of their high traffic recipe content that had performed so well in the past. We decided to provide users with a truly enhanced experience by identifying the core tasks a user would perform across desktop, tablet and mobile. 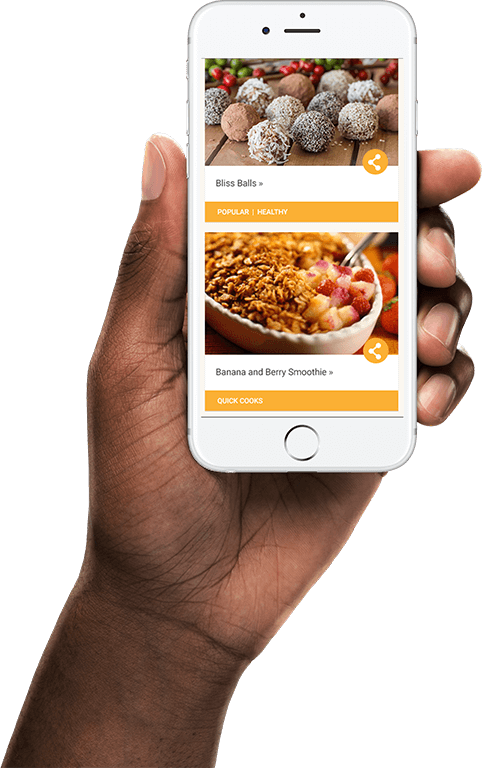 By adopting the responsive framework and creating a 'mobile first' experience for the recipe section of the site, we made it easier for a user to browse, search, save, share and use the recipes they love no matter the device. We did this while retaining a single code base and unified site experience. Sanitarium has been able to represent and build upon their strong recipe assets and connect them with the single-site philosophy. The Kentico CMS has enabled our organisation to more proactively publish and maintain all our content from product information to recipes and articles. We have seen excellent results across the board with improved Google ranking for the site content and higher than expected jumps in mobile and tablet traffic. This despite a considerable re-write of the sites content. Interesting were instrumental in bringing to life the design of our new website with creative flair and efficient project management.